Don’t Sweat It —- Rock What You Got! The Weekend is here and you’re anxious about the “Hot” party or event that you have been looking forward to all week, right? You’re thinking; “OMG, I need a new outfit!” If you can afford one with no sweat? Go ahead Girlfriend! More Power to Ya! However, if you are looking into an alternative cost effective way to Shine at the affair, we have a suggestion…Just Rock What You’ve already Got! You will be amazed with what is located in your closet, that has been hiding and can be matched up or paired with other pieces either that you already have or simple affordable pieces you can pick up today. First thing, first…Don’t dread your closet like a Halloween haunted house. It would actually be extremely helpful to take inventory. Line-up and count out just how many shoes you own…how many inner T-shirts or camisoles…How many sweaters, tunics, dresses, skirts and so on. Secondly, sincerely determine whether your are using it. If not, then lose it. You may possess pieces that suited a different stage in your life. Perhaps your daily college garb is littering up your wardrobe while you have moved on to the work world. Or you may have shifted careers and are in a different environment that doesn’t require the current collections you have. Whatever the situation, having a clear inventory of your clothes will simplify coordinating ensembles. Believe me! I had to endure this ordeal when I thought the answer to the new Fall Season was burning a hole in my pocket! Ok so now that the dredge work is done, you have a clearer insight to harmoniously identifying and arranging the pieces that you can put together. You will become amazed to see pieces that you actually forgot existed in your clothes room. Let’s take a tip from celebrity stylist; June Ambrose. Ambrose has been instrumental in creating the chic, as well as dapper looks of some of the music world’s biggest stars like Mary J. Blige, Mariah Carey, P. Diddy and Jay-Z. Although she has regular access to high end garments, Ambrose unashamedly keeps her closet diversified with pieces from Gap, JC Penney and Target. She is also always on the cutting edge of the new trends but uses an educated approach to fashion by not jumping on everything that is declared “in style”. Her choices are influenced rather, by what suits her mood and personality. She keeps her looks fresh by giving attention to textures, choosing pieces with interesting shapes, layering sophisticated separates and continuously using lots of accessories to liven up any outfit! So there you have it! Don’t let the “Gold-Star-Weekend-Outfit” weigh on your heart or your pocket! Don’t be overwhelmed! Take stock, re-shuffle and blend! You’re all set! Have tried to look good at work and keep it up to last you long enough to make it to happy hour on time? We have a suggestion in hairstyles that will help you get that $5 drink without going home to change. 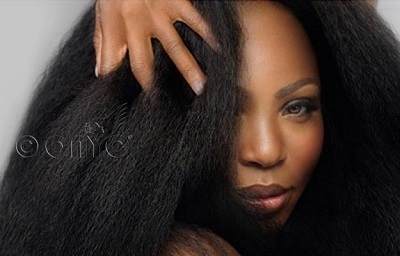 ONYC Hair has you covered. 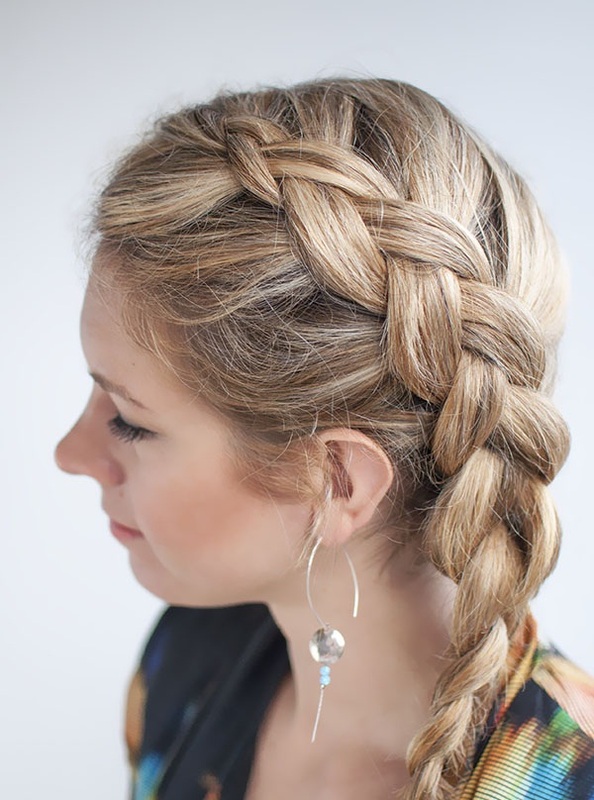 Whether it is to the side, straight down the back or going whichever way it wants to go, you should give braids a try. Just because it isn’t what you want to see on your guy, doesn’t make it off limits for you. Check out some styles we think you should explore, it may not be a trend for the guys to venture back to, you may make it a usual. Go out on a date or lay on the beach, either way, look good doing it. 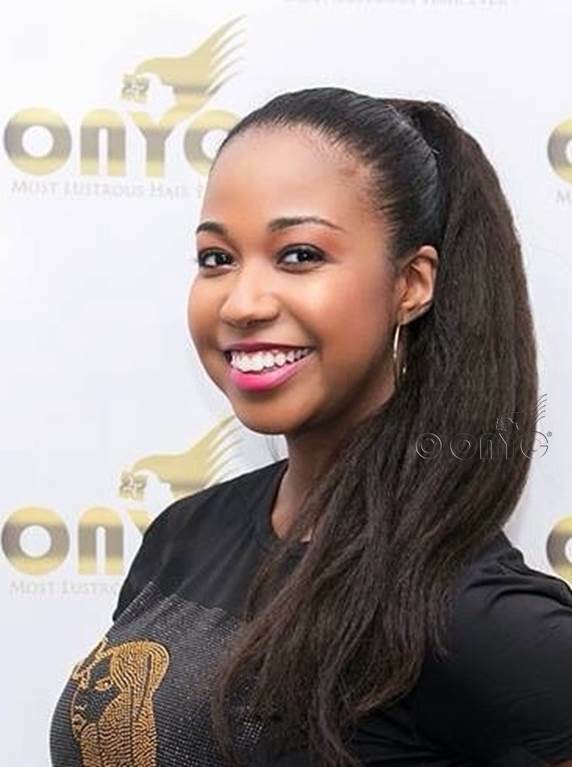 We are saying try the loose curls only because the heat will attack them eventually, unless you have some really good holding spray, which we don’t want you to use excessively. 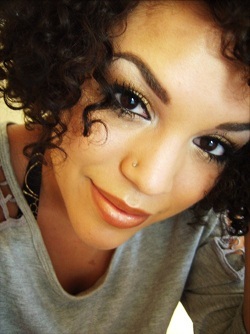 Try using our “Hair Tool of the Week”, the flexi-rods, to get this look. 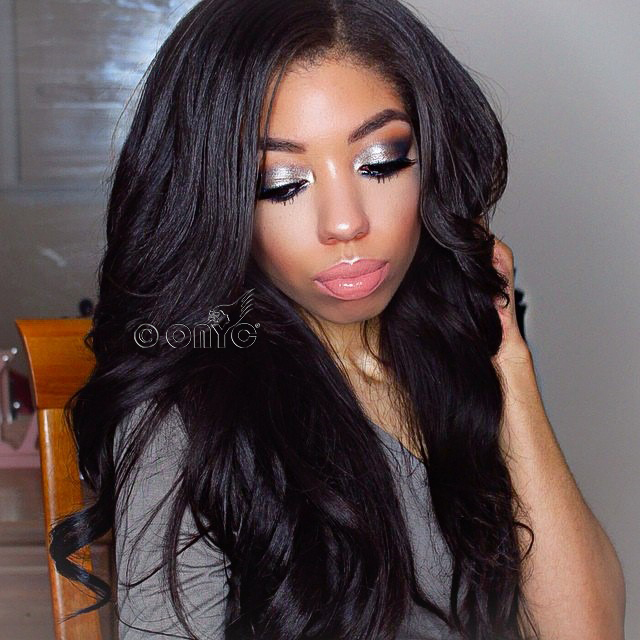 Loose curls to a brushed wave is always good when your makeup is poppin’. 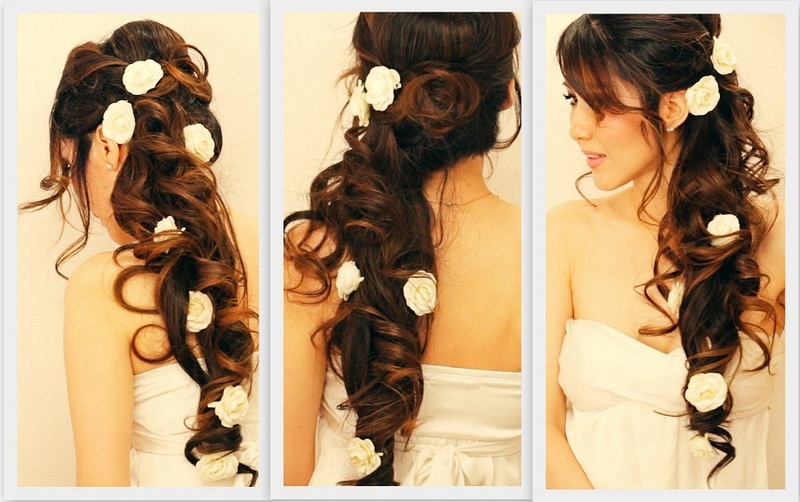 We want to start providing you all with a hairstyle to try and do for the weekend. We know this coming weekend is going to be very HOT, and we want to keep the hair out of your way. Smell one way, but feel another; don’t worry we have a list of our top five fragrances to compliment you daily. 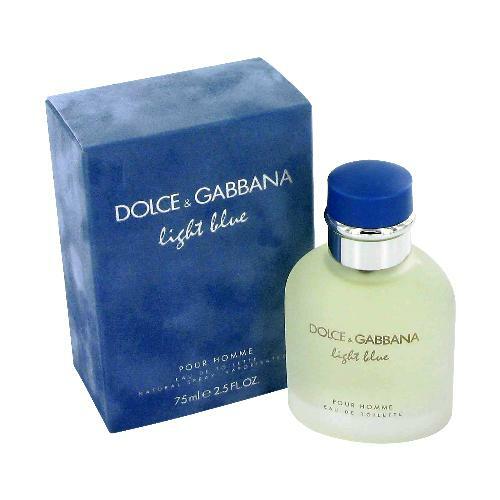 Our first and late-great favorite is the lemony fresh scent of “Light Blue” by Dolce and Gabbana.